A legal opinion letter is a letter drafted by an attorney expressing a legal opinion with regard to a particular issue. In the context of inadmissibility to Canada, such a letter would involve a Canadian immigration attorney attesting to the fact that an individual is not inadmissible to Canada. (i) Deemed rehabilitation & (ii) Charges that don’t render you inadmissible. Can deny entry to an individual, even if he or she is not in fact inadmissible. 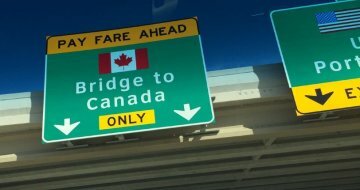 Such a letter, written by an attorney, can help an individual gain entry to Canada. Although a legal opinion letter can serve many different purposes, as it concerns inadmissibility there are two principal scenarios in which a legal opinion letter is particularly helpful. When an individual has one, non-serious offence on his or her record, he or she should be deemed rehabilitated after 10 years have elapsed since completion of the sentence. From that point onward, the individual is no longer inadmissible, simply as a result of the passage of time. Despite this, even people that should be deemed rehabilitated frequently encounter issues at the Canadian border, and are often turned away by immigration authorities, who have wide discretion in the exercise of their duties. Officers may refuse entry to anyone they believe poses a security risk to Canada. This belief can be based on any number of things, including an individual’s demeanor at the border, his or her reason for entering Canada, or his or her criminal record. Despite the fact that this record might reveal that an individual is not technically inadmissible, the presence of a criminal charge, even a non-serious one, can trigger the discretion of an immigration officer and potentially lead to a denial of entry. Even if an individual should be allowed to enter due to deemed rehabilitation, in practice this is not always the case. Certain charges do not cause inadmissibility. Even though the presence of such a charge on an individual’s record may lead to issues at the border, he or she may not be technically inadmissible. Certain offences are classified in the Canadian Criminal code in such a way that inadmissibility does not result from a single conviction for these offences. 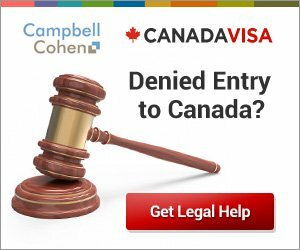 Consequently, even if an individual is found guilty, he or she will not be inadmissible and should be permitted to enter Canada. It is important to note that this only applies if the individual does not have more than one charge like this on his or her record. Multiple offences of this nature would most likely render an individual inadmissible. Some common examples of these types of offences include disturbing the peace, committing an indecent act, or causing a disturbance. A legal opinion letter is useful in this context because border officers are not experts in Canadian Criminal law and might not be familiar with the classification of certain offenses. Such a letter would explain, in legal terminology, how a particular offence is classified as non-serious and why this does not render an individual inadmissible as a result of this classification. Some acts constitute offences in the place they were performed, but are not considered as such in Canada. If an individual is convicted of one of these offences, he or she is not in fact inadmissible to Canada. Examples of such offences include the possession of certain drugs under a certain amount and solicitation. A legal opinion letter is also helpful in this scenario as it elucidates whether a particular foreign offence has a Canadian equivalent. If it does not carry a Canadian equivalent, then the individual is not inadmissible. A legal opinion letter would explain in legal terminology why this is the case. Consult with a Canadian immigration attorney using the form below to overcome potential issues surrounding inadmissibility to Canada. The Government of Canada is opening new Visa Application Centres and service points in Europe, Africa and the Middle East to support the expansion of its biometrics program. New rules governing the medical inadmissibility of immigration candidates are now in effect.